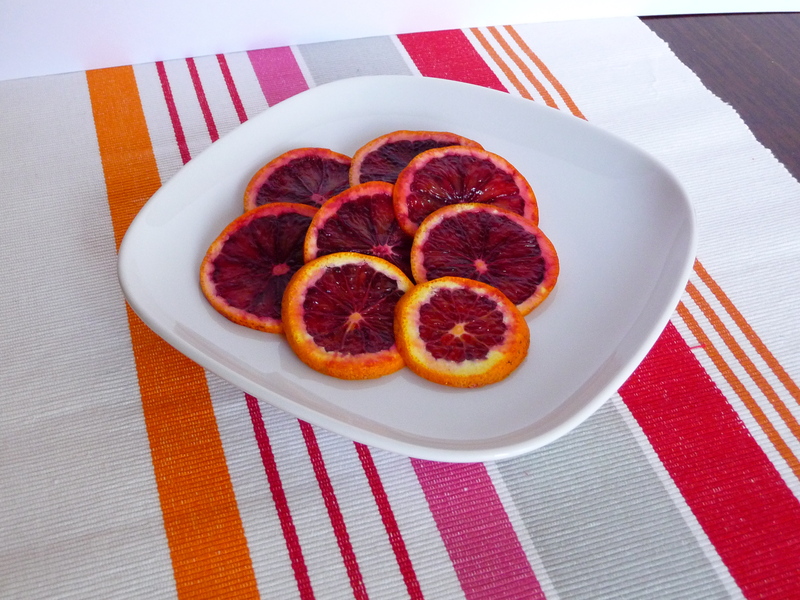 There were some gorgeous blood oranges at the Farmer’s Market this weekend in Hollywood and I simply couldn’t pass up one of my favorite and highly seasonal fruits. Plus they were like 89 cents / lb. A good Jewish girl can never pass up a good bargain! I had no intention to make them into anything more than blood orange juice but today I thought a little candy-ing was in order. Because all little old ladies love candied citrus. And I am apparently one of them. Actually, what I am I saying apparently for? Darn tootin’ I’m of the granny variety! How many 26 year olds do you know that pine for jarring up some pickles or baking up pies and cakes on a regular basis? Oh, and wear frilly aprons? Mine is turquoise with a cherry print. I am quite the adorable granny. Making candied fruit is incredibly easy and only requires 3 ingredients: sugar, water, fruit. I’m sure you have that in your kitchen. So get to candy-ing. Impress your friends, even those of the non-granny variety. Heat at a medium-low simmer, stirring occasionally, until piths become translucent, about 30-40 minutes. When stirring, you can also flip the fruit over so they candy nicely on both sides. Once piths are translucent, remove from heat and let orange pieces cool in pan. 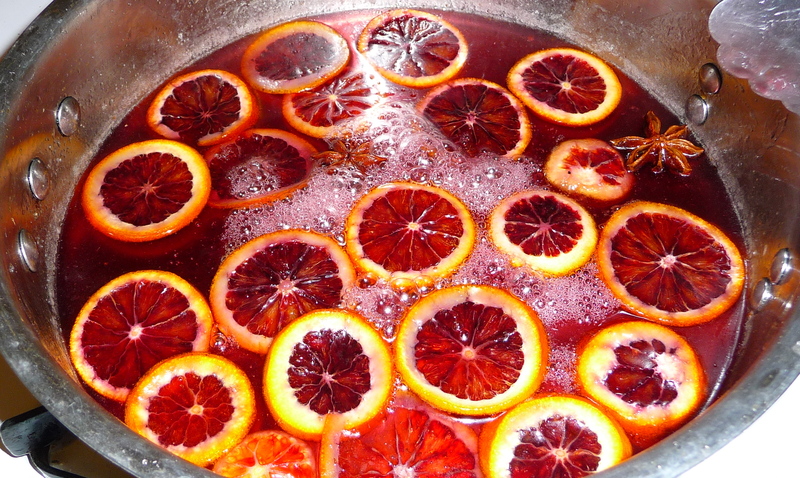 Once cooled, remove pieces fro the syrup and use as you wish, like on a blood orange polenta tart or on top of ice cream.